A co-pilot and his captain had to wear oxygen masks while landing a plane at Heathrow Airport after they were overcome by a strong smell in the cockpit of the aircraft, an accident report has said. The pungent odour also wafted into the passenger cabin during the incident on October 21 last year, with some of the 139 travellers reporting light throat irritation, the report by the Air Accidents Investigation Branch (AAIB) said. The co-pilot experienced eye and throat irritation, and also said he felt dizzy and nauseous, but he and the captain landed the plane safely after putting their masks on. 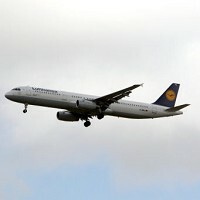 However, despite medical examinations of the pilots and checks of the Lufthansa Airbus A321, which had flown from Frankfurt, the AAIB concluded that "no explanation for the odour or symptoms experienced by the crew could be found". Unforeseen events such as this highlight the importance of taking out travel insurance before flying.